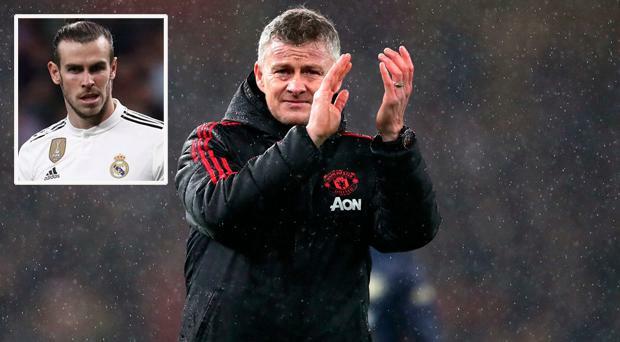 Ole Gunnar Solskjaer underlined the need for Manchester United to sign "quality players" but would not be drawn on a potential move for Gareth Bale. The Wales star has been linked with a move to Old Trafford for years and talk of an exit from Real Madrid has intensified since Zinedine Zidane's reappointment last week. Former manager Jose Mourinho made no secret of his desire to bring the 29-year-old to United, but caretaker boss Solskjaer was coy about a potential summer move. "I can't really comment on Gareth Bale or specific names because they're property of other clubs," the interim United manager said. "But we should look for quality players, definitely, and players who could improve us as a team. "There's so many factors you need to think about when you sign players. "It's not easy - I don't know if it's easy either - when you're in the media or when you're a supporter, you can think short-term. Bale has been at Real Madrid since 2013 and is a four-time winner of the Champions League, although there is no chance of a fifth this term after bowing out to Ajax in the round of 16. United's hopes of European glory remain alive after overcoming Paris St Germain and, speaking before being drawn against Barcelona, Solskjaer said they have proved that "on any given day we can beat a top team." "The confidence in the players, it's sky high," he said. "And the mood is good, the training attitude is good, so hopefully we can keep that run going. "There have been a couple of comments about 'you used to have number 20' (and it is 20 years since the treble' and blah, blah, blah. "I believe that you get what you deserve in life, in sports. "If you put the work in, I believe, if you work hard, show the right attitude, if you go in every single day and do the right things you can maximise your chances." United are looking to bounce back from their first domestic defeat under Solskjaer last weekend at Arsenal - a side they overcame in the fourth round of the FA Cup. There have also been wins at Chelsea, Tottenham and PSG in recent months, so the suggestion that Solskjaer has got lucky has naturally worn thin. "I think I've answered that question quite well here," he said with a smile. "I think you earn your luck, but sometimes it's better to be lucky than good, eh? "Any game you lose is a big anti-climax. It's the worst feeling you can have. "And that's maybe the only good thing about that Arsenal defeat, to feel how much it hurt. "Because PSG we still had a chance to correct it and before then the last game I lost was against Ranheim on 26th August, so it was a long time ago."